A current controversy in gynecology illustrates several issues with the implementation of evidence-based medicine into surgical procedures. The clinical question is, Should we perform universal cystoscopy at the conclusion of all hysterectomies for benign reasons to detect urological injuries? This would contrast with a strategy of selective cystoscopy after particular high-risk procedures or in particular high-risk patients or situations. To analyze this issue, we need to answer some basic questions first. The bladder can become lacerated, perforated, or bruised. It can suffer a thermal injury or have erosion or placement of mesh into the bladder. The ureter can become lacerated, transected, or ligated. It can be angulated (kinked). It can be devascularized and/or suffer a thermal injury. The urethra can become lacerated or perforated. It can be partially or totally obstructed. It can have erosion or placement of mesh into the urethra. Not all of these injuries are immediately detectable by cystoscopy. Many thermal injuries, for example, do not become apparent for a few days and so immediate cystoscopy would be negative (and might even give a false sense of reassurance should that patient develop worrisome symptoms in the first few postoperative). Some angulation injuries of the ureter still result in efflux or jetting of urine from the ureteral orifice, but subsequently result in problematic hydronephrosis or even worse if accompanied by postoperative swelling. There obviously is a huge advantage to early detection of any of these injuries. Most of these injuries, if undetected, will result in at least one additional surgery and often several invasive and expensive tests and procedures. Serious long-term issues like renal failure or vesicovaginal or ureterovaginal fistula may occur. Early detection and correction is clearly advantageous. What is the actual rate of urological injury during hysterectomy? One immediate observation is that the major complications rate for vaginal hysterectomy (VH) is substantially lower than the rates of complications for both abdominal hysterectomy (AH) and laparoscopic hysterectomy (LH). In particular, the rate of bladder injury ranges from a low of 0.6% with VH to a high of 1.0% with LH and the rate of ureter injury ranges from a low of 0.04% with VH to a high of 0.3% with both AH and LH. An immediate response to this data might be that the easier cases were done vaginally rather than by LH or AH; but this common canard is not based in evidence. Gynecologists tend to do hysterectomies the way that they tend to do them. Some, like me, do virtually every case for any indication vaginally, while others do the same utilizing the abdominal or laparoscopic approaches. It is true that an advanced endometriosis case is more likely to be done laparoscopically or abdominally, but that balances out with an increased likelihood that advanced uterine prolapse/procidentia cases are more likely to be done vaginally. Both confer increased risk of surgical complications. The vaginal cases are also, as a rule, more likely to be accompanied by procedures like colpopexies, colporrhaphies, and slings, which should confer an increased risk to the patient of these complications. So don’t jump to any conclusions. The risk of ureteral injury is greater during a vaginal hysterectomy. 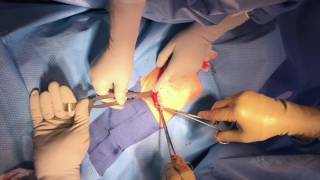 They made this statement because they believed that the ureter was drawn closer to the uterus when it was pulled down during a vaginal case, and rolled away from the uterus when pulled up as during an abdominal case (or a laparoscopic hysterectomy). They believed that the uterine artery “pulled” the ureter down with it. This belief, from the two venerable and venerated surgeons, became dogma in the 1990s, along with lots of other nonsense. The truth is the exact opposite. 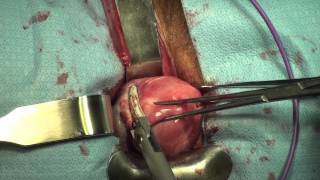 This cadaveric video shows that with downward traction (as during a VH), the ureter moves from about 2 cm from the uterine artery to about 4 cm! The intuition of the experts was exactly opposite! What’s more, we can see from the Finnish data above that the rate of ureter injury is about 10 times higher with AH and LH than with VH. The proof, as they say, is in the pudding. What other axioms have we accepted as dogma? That’s a different subject for a different time, but you likely believe many things wholeheartedly that are exactly wrong. The Finnish authors also found that urinary retention was independently associated with prolapse, but not the route of hysterectomy (though the prolapse cases were more commonly done vaginally). How good is cystoscopy at detecting these various injuries? There are several issues to be considered in order to answer this question. First, many of the complications, particularly cystotomies, are noted at the time that they occur, and therefore universal cystoscopy shouldn’t get the credit for identifying those injuries. Even when the injury is “confirmed with cystoscopy,” the cystoscopy might have been performed because the surgeon was worried about it (we’ve all been there). Second, the debate is between universal cystoscopy and selective cystoscopy; in other words, the real question becomes, How many unsuspected injuries are detected when cystoscopy is performed on patients having straightforward hysterectomies for benign indications without additional risky procedures (like miduretheral slings, colpopexies, or anterior repairs)? This question further needs be answered in the context of different routes of hysterectomy, since some routes have higher intraoperative detection rates than others (it is easier to identify a bladder injury at the time of VH than at the time of LH, for example) and different expected rates of injury. What might be good for an LH may not necessarily apply to a VH. Also, we must sort out how many injuries go undetected despite cystoscopy and how many delayed injuries were due to thermal injuries or some other mechanism that might have avoided detection at the time of surgery. In this study of 2918 hysterectomies from the University of Michigan published in 2016, a retrospective analysis was performed for a series of patients before and after an institutional policy of universal cystoscopy was adopted. Before adoption of the universal cystoscopy, 2.6% of patients had a urological injury at the time of hysterectomy. Of these 25 injuries, 7 went undetected at the time of surgery (two of the seven had normal cystoscopies). After adoption of universal cystoscopy, 1.8% of women had an injury. Of these 34 injuries, 2 went undetected at the time of surgery (both had normal cystoscopies). There are several things to observe about these data before digging deeper. The overall injury rate of 2.1% in this study is about double what we would have expected based on the Finnish data. Also, the complication rate declined over the years of the study. These observations raise two questions. First, how much does having residents and fellows increase the complication rate? Second, how much does the surgeon’s place on the learning curve affect complication rates? It is difficult to know how much residents and fellows might contribute to the rate of complications. 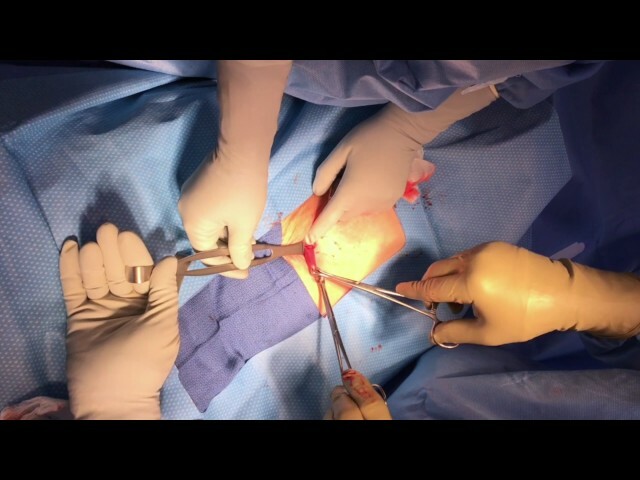 On the one hand, when novices hold the scissors or the knife, we would expect a higher rate of complications; but, on the other hand, that resident is likely to be more tentative and hesitant, with a watchful attending monitoring every step. So the two factors may cancel each other out. Some studies have tried to examine this by comparing the outcomes of cases performed by residents with attending physicians to those performed by those same attending physicians alone, and the results of these studies are favorable for the residents. This study show an increased risk of thromboembolism and wound infections associated with resident participation, probably reflecting longer operating times. This piece from the New York Times summarizes some of these issues and some of the literature. Studies that compare the complication rates of residents to their academic attendings make the assumption that academic attending physicians have as good of outcomes as those in private practice. This may not be the case; a good academic attending rarely operates himself (instead letting the residents do the cases), whereas a busy private practitioner may operate by herself almost exclusively. In FINHYST, women who had their VHs at a university setting were about twice as likely to suffer a complication as those who underwent the same procedure at local or private setting (OR 0.69 for local and 0.39 for a private hospital). Thus, what’s good for an academic institution isn’t necessarily good for the real world. In the Michigan study, the average operating time was just under three hours for each hysterectomy; that alone should tell us that these cases were not being doing expertly. We also must consider the learning curve. Over the course of the Michigan study period, more and more robotic-assisted hysterectomies were being performed. We can assume that many of the cases done before universal cystoscopy were performed early in the learning curve of the attending physicians. The decrease in complication rates from 2.6% to 1.8% over the course of the study may partially reflect progression along the learning curve. We know from other studies that the number of procedures performed per year by a surgeon is correlated to the complication rate. We don’t have an appreciation where surgeons in the Michigan study might have been on their own personal learning curves for these procedures. So the results might be more applicable to low volume surgeons or those early in the learning curve (which defines all residents) than to high volume surgeons. This systematic review of the impact of surgeon volume on outcomes found that low volume surgeons had 60% more intraoperative complications and 40% more postoperative complications. Below is the data from the Michigan study about the injuries that were missed during the time of surgery. Of the seven women with delayed detection of injuries before the implementation of universal cystoscopy, two actually had cystoscopy anyway and the injuries were still missed (or perhaps it was too early to detect the injuries). Four of the remaining five were vesicovaginal fistulae. It is difficult to know whether cystoscopy would have identified correctable injuries in these four cases. Fistulae may result from an undetected cystotomy, most commonly performed at the time of abdominal or laparoscopic hysterectomy during dissection of the posterior bladder wall from the anterior surface of the uterus. Indeed, all four of these fistulae were during an AH or LH. Increasingly more common today, however, is that the injury is related to necrosis and/or devascularization that results in delayed injury. This can happen when the Bovie is used for bladder dissection at the time of AH or when an energy device is used at the time of LH. Cystoscopy performed at the time of these procedures may have revealed an intact bladder or bruising only, therefore not changing the ultimate outcomes. The fifth injury was a ureteral obstruction that was treated with balloon dilation. This injury is very likely to have gone undetected at the time of the original surgery, since the ureter likely still effluxed (how much efflux is enough to rule out angulation-type injuries is not yet known). Thus, it is reasonable to conclude that even with universal cystoscopy, two or three of these injuries would have remained undetected, just as four of the nine undetected injuries weren’t identified even though cystoscopy was performed at the time of surgery. As expected, the lowest rate of delayed injury occurred with VH, where only one injury had delayed diagnosis (even though a cystoscopy was performed). Even after the adoption of universal cystoscopy, most of the injuries were still detected without cystoscopy, and fewer significant injuries overall, like vesicovaginal fistulae, may represent better surgery performed by surgeons further along their learning curves rather than a benefit of universal cystoscopy. The authors didn’t discuss this possibility, but surgeons dealing with multiple recent cases of vesicovaginal fistulae might learn from continuous quality improvement efforts to use less energy sources near the bladder, improve the dissection around the vaginal cuff, and make sure cuff closure sutures are not too close to the bladder. A retrospective study cannot be used to conclude that cystoscopy is the reason for fewer cases of vesicovaginal fistulae (a prospective, randomized, cross-over type study would be ideal). What are the costs and consequences of delayed diagnosis? Clearly there are costs and consequences for delayed diagnosis. A study by Visco et al. previously concluded that when the rate of ureteral injury exceeded 1.5% for AH or 2.0% for VH or LH, then cystoscopy became cost effective. Nothing published subsequent to this analysis would tend to suggest anything different. Data like this is the basis of the current ACOG-recommended practice of selective cystoscopy. The ureteric injury rate in the Michigan data appears to be 0.46% overall, which would suggest that their current practice is not cost-effective. There are also medicolegal considerations. Undoubtedly some percentage of all urinary tract injuries will result in liability claims, and I am sure that this percentage will be higher in the group of women who had a delayed diagnosis. But by creating a non-evidence based de facto standard of care (like universal cystoscopy) it is certainly possible that such claims may go up as an unintended consequence. The perception will become that all injuries can be detected at the time of surgery and corrected (even though 44% of the delayed injuries in the Michigan study were not detected by cystoscopy) and this false perception will resonate with juries. Even more exposed will be the outliers who do not or cannot perform routine cystoscopy (in the Michigan study, even with a department-wide mandate, they were unable to achieve 100% performance of cystoscopy). What other unintended consequences does universal cystoscopy have? In addition to potentially creating a more negative medicolegal climate around urinary tract injuries, universal cystoscopy will be accompanied by increased cost, increased operative time, over-diagnosis of certain bladder conditions, and over-treatment of false positive findings. There are troves of data that show the negative implications of increased operative time (here is an example) and we don’t have adequate studies to assess the risks of over-diagnosis and over-treatment. Midurethral slings. The rate of urethral injuries are 0.88% for TVTs and 1.09% for TOTs; the rate of bladder injury is as high as 6% in some series for TVTs. Uterosacral colpopexies or other retroperitoneal colpopexies. The risk of ureteric injury is as high as 11% for some of these procedures. Anterior colporrhaphies. The bladder trigone and the ureteric insertions are at particular risk with this procedure. Severe uterine prolapse. In cases of complete uterine procidentia, the course of the ureters has become grossly disturbed and they lie beyond genital hiatus. Burch urethropexies and paravaginal repairs. These procedures are done less commonly today, but both are high risk procedures for urinary tract injury. Bleeding that results in throwing extra stitches, particularly near the uterine artery, for example, should prompt the surgeon to consider adding cystoscopy. Extensive retroperitoneal dissections for advanced endometriosis puts the ureters at excessive risk. Large ovarian masses where the course of the ureter cannot be clearly delineated should be evaluated with cystoscopy (whether a hysterectomy is performed or not). Perform the route of surgery that puts the urinary tract at the lowest risk. Vaginal hysterectomy clearly afford a lower rate of ureter and bladder injury. Previous beliefs that VH increased the risk of ureter injury were unfounded. Similarly, previous cesarean deliveries and other classical “contraindications” are likely best handled vaginally by an experienced surgeon. The risk of bladder injury increases with each prior cesarean, but it does so for all routes of hysterectomy. VH provides options and techniques to mitigate this increased risk not available to the AH and LH route (here is one example of many). Rooney et al. in 2005 found that a previous cesarean delivery doubled the risk of bladder injury during hysterectomy in general, but the rate was 7 times higher with laparoscopic assistance, confirming that VH is likely safer when using appropriate techniques than LH for women with one or more previous cesareans. Utilize techniques that avoid unnecessarily increasing the risk of injury to the urinary tract. Don’t use cautery or energy devices for dissecting the bladder away from uterus. Retract the bladder in an advantageous way to avoid drawing the ureters into the surgical field. Use an intrafascial clamp technique whenever possible. Take caution with use of thermal devices near locations that the ureter is at greatest risk. Avoid placing stitches too close to or into the bladder near the cuff. Limit utilization of TVT when a TOT is sufficient to avoid the substantially increased risks to the bladder. Don’t fail to consider a urinary tract injury in a patient with suggestive symptoms, even if she had a normal intraoperative cystoscopy. If you want to learn more about diagnosing managing urinary tract injuries, read this excellent review for more information.